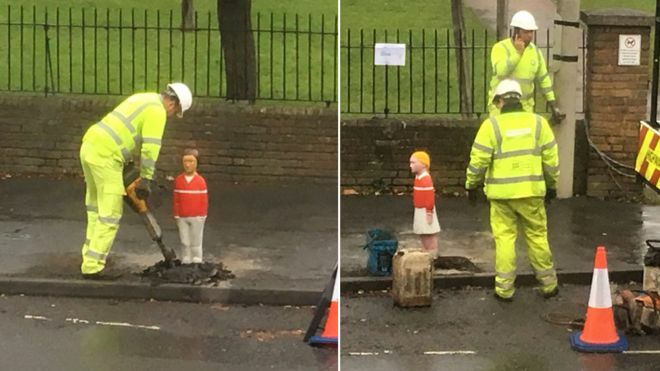 A town in Buckinghamshire, England, has repositioned road barriers made to look like children after a resident said they were too creepy. The toddler-sized safety posts were designed to be more attention-grabbing than the standard poles, and are. Here's video of the bollards. Watched and filmed by the other drivers he has delayed, a man in East London slowly, laboriously, loudly removes and steals the catalytic converter from another vehicle. If you have plans to be in Britain any time after March or thereabouts, maybe just cancel them.